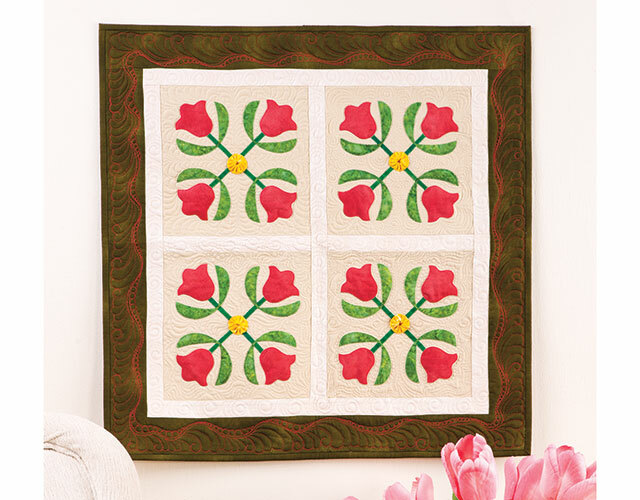 Learn how to machine quilt beautiful motifs and designs for finishing projects on your domestic sewing machine. Practice quilting feathers, McTavishing, fancy swirls, circles and more. If you've learned the basics of machine quilting and are ready to take your skills to the next level, this class is for you! Join expert Wendy Sheppard in her second Annie's machine quilting class as she demonstrates confident beginner and intermediate level machine quilting motifs. This class begins with a private show-and-tell from Wendy's personal quilt collection. She'll explain the different machine quilting designs and techniques she used to enhance each quilt. Then, in the first demonstrating segment, you'll learn how to mark your sampler practice piece into sections for machine quilting. As the class progresses, Wendy demonstrates each quilting motif first with doodling, then using practice quilt sandwiches at the sewing machine. 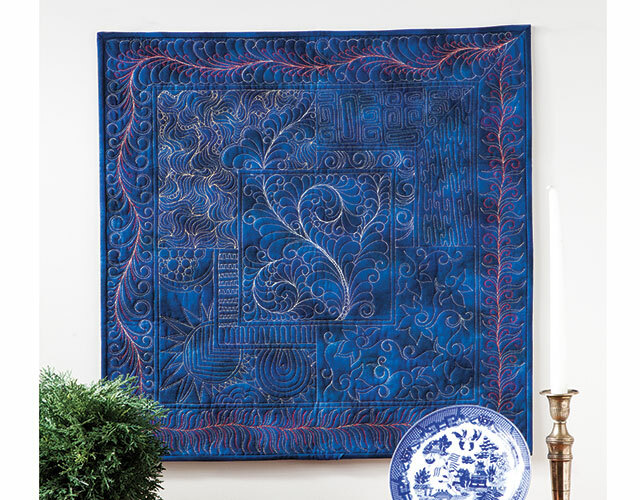 By practicing and mastering each otif, you'll soon be finishing your quilts on your own domestic machine with beautiful and impressive machine quilting. Mark your quilt into sections. Machine quilt motifs including swirly vine variations, large and small snaky spirals, swirly flowers, pool reflections and sushi rolls. Quilt circles using a freezer paper mark without marking method. Quilt feathers and feather variations for filling large areas and borders. Quilt little "S's", Wendy's variation on McTavishing. 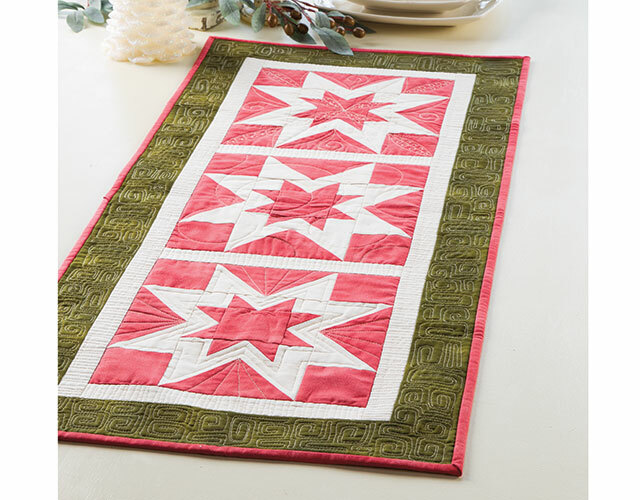 Make a whole cloth class sampler, plus three more beautiful projects highlighting machine quilting. 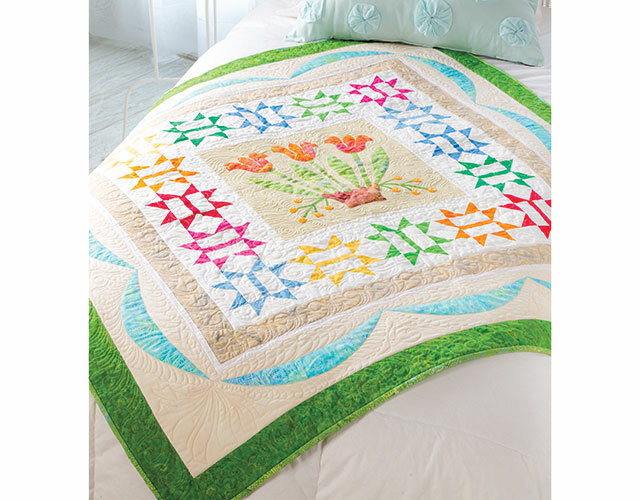 Class includes complete instructions to make four exclusive projects: Sampler Practice Piece, Star Bright Runner, Carolina Tulips Wall Quilt and Fanciful Flower Basket Quilt. This class is excellent value. Wendy gives great tips and is a good teacher. She is very easy to undertand and I know I will watch this class again and again. A truly worthwhile class! I will watch it again.....Thank you for providing quality classes. I am learning a lot in this course. Love it really! The methodlogy, and the explanation of every step in quilting matter. I really enjoy it . Regards to every quilter friend specially to Wendy.